Abstract: The workshop was held at Georgetown University in Washington, DC on Friday March 11 and Saturday March 12, 2016. The theme of the workshop was the philosophy of Robert Grosseteste and Richard Rufus of Cornwall. A group of scholars working on the philosophical thought of these figures shared their work on them with each other. In addition to helping understand these philosophers better, the organizer hoped the conference would increase awareness of the importance of Richard Rufus and Robert Grosseteste. Presenters were Richard Rufus Project (RRP) editors, Neil Lewis and Rega Wood who introduced Richard Rufus and explained the significance of Grosseteste's influence on Rufus; a past RRP contributor, R. James Long, who helped clarify Rufus' attacks on Richard Fishacre; Santiago Melo-Arias, who has been preparing English translations for the RRP website, on Rufus's fundamental ontological views; Wood again, with Rufus on Universals; Chris Martin on the relevance of Rufus' understanding of Aristotelian epistemology to contemporary disputes; Jennifer Ottman on the influence of Rufus; and Timothy Noone, the only presenter without an affiliation with RRP, on Rufus' critical response to St. Bonaventure. Abstract: Book 5 of Richard Rufus' Scriptum in Metaphysicam Aristotelis, addresses the questions what is a cause, a substance, a nature, a unity, a relation. He also considers what makes something necessary or possible, and other foundational questions. Abstract: Book 6 of Richard Rufus' Scriptum in Metaphysicam Aristotelis, describes the category of relation and asks, among other things, how entity and truth are related. Primary URL Description: Resource located on the Stanford University website, with the assurance that the Stanford College of Arts and Sciences will continue to host it in the future. Abstract: Book 7 of Richard Rufus' Scriptum in Metaphysicam Aristotelis, is about substance. In it he discusses the nature of matter, form, and quiddity, the relation of universals to particulars, and the difference between signification and reference. Abstract: Book 8 of Richard Rufus’ Scriptum in Metaphysicam Aristotelis is about elements and elemental composition, the relation of substance to accidents, and substantial changes. Most importantly for Rufus, it is also about definition and about how to understand the Aristotelian claim that final matter and and form are the same. Abstract: The manuscript description details the contents of British Library manuscript Royal 8 C IV, it indicates its quire construction, its script, and many other details useful for scholarly research. Abstract: This is an early commentary on Aristotle's De anima commentary based largely on the work of Adam Buckfield, who in his turn is influenced by Richard Rufus. We cite such texts in the notes to our edition both as a record of Rufus' influence and on some occasions in order to correct our reconstruction of the text. 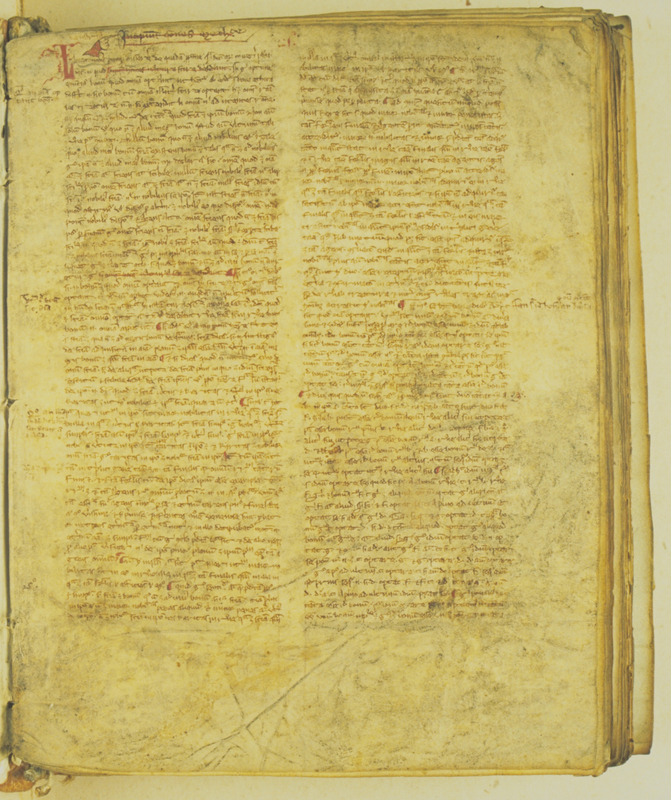 Abstract: This is an early manuscript of the old corpus of Aristotle works. We had to transcribe parts of it in order to determine whether it was a source for Richard Rufus. As it turns out, despite the early age of the manuscript, these glosses depend on Richard Rufus and Adam Buckfield rather than the reverse. We publish our transcription here for the use of other scholars. Abstract: This is one of the two most influential early De anima commentaries and the first to draw on Richard Rufus' commentary. It not only records Rufus' influence but in the case of difficult passages allows us to improve the text we publish. This work was made available to us by special permission from Helen Powell who published excerpts in her Oxford thesis. Since Miss Powell has since died, her thesis is virtually unavailable now. So we publish this research tool on our website, based on more manuscripts than were available to Powell for the use of other scholars. Abstract: This talk was presented a conference organized by Arche: Philosophical Research Centre for Logic, Language, Metaphysics and Epistemology, entitled "Medieval Logic and Metaphysics." The talk describes the origins of the phrase `Ockham's Razor' in the works of a 17th-century Thomist commenting on Aristotle's De anima. It shows why this attack misses it mark in the case of Rufus and Scotus, and how it leaves Thomas Aquinas' views open to attack. Abstract: We post this image of the first page of Richard Rufus' Scriptum in Metaphysicam Aristotelis, Redactio brevior, on our website, with the permission of Erfurt University's Library for the use of scholars who may be interested in checking our collation. It also allows members of the public to see the form in which this great work of philosophy was preserved for centuries.